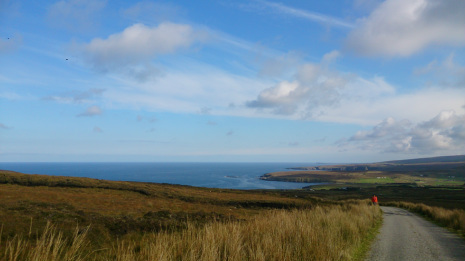 Discover the unspoilt beauty of North Mayo's rugged coast line. Pedal back through 5o00 years to where Irelands first settlers lived, visit historic abbeys and town lands through quiet country roads at your own pace. 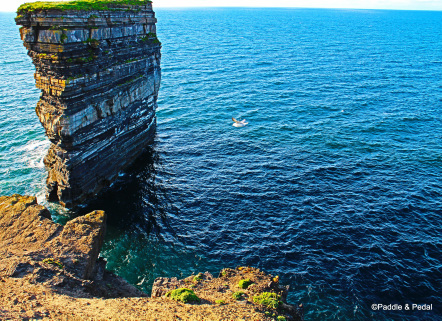 Get close to amazing natural landscapes like Down Patrick Head and the towering cliffs of North Mayo. Take to the water and kayak on the famous River Moy or take a boat trip to explore the uninhabited Innishkea Islands off the Mullet peninsula. This tour brings you to the heart of Mayo and its unforgettable history, culture and world class scenery. Moyne Abbey on the banks of the River Moy. We will meet you and accompany you to your accommodation. Here we will fit you with your bike and equipment as well as maps and notes for your tour. Today you will cover approx 40km between Ballina and Ballycastle. Along this route there is a huge amount to see and explore. Depending on your arrival time you have a choice to either stay close to Ballina and discover some wonderful attractions like the Jackie Clarke Collection, Belleek Castle and Belleek Woodlands. Alternatively you can take to the road straight away and start your tour of North Mayo. 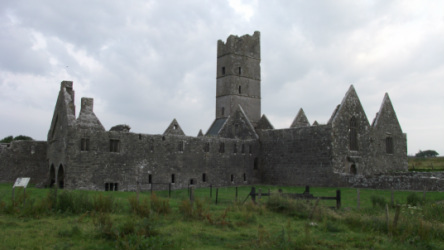 Your first stop will be Rosserk Friary, follow soon after by Moyne Abbey both magnificent old ruins situated on the banks of the River Moy Estuary. Moving on to the town of Killala and finishing your day at one of Irelands most striking natural features- Down Patrick Head close to the village of Ballycastle. After breakfast at your accommodation and welcoming the fresh sea air into your lungs its time to hit the road. After only a couple of miles you will reach Céide Fields a 5000 year old settlement on the cliff top. Outside you can stop and enjoy the breath taking views of Dun Briste or take a tour of the Ceide Fields and Visitors Centre. Cycling west through open bog land, you will be greeted with some of Irelands most magnificent cliffs and the vast expanse of the North Atlantic ocean. The day will end in the town of Belmullet where you can enjoy traditional Irish music and a pint of Guinness in the local pub. Extra day option- You can take an extra day in the Belmullet area to discover the Mullet Peninsula and Black Sod. Day 3 takes you back East towards Lahardane the Titanic village. Cycling through beautiful open bog land along the way. We highly recommend that you stop at the famous Bellacorick musical bridge, the experience is free and guaranteed to leave a smile on your face. Lahardane village is nested between the spectacular Lough Conn to the east and Nephin mountain towering in splendid and rugged magnificence to the west. Lahardane and its townland, Addergoole is known world wide for its connections with the Titanic, this village suffered the loss of eleven people out of fourteen who set sail on Titanic's maiden voyage. Here you can take time visit the Titanic memorial and visit a traditional Irish pub. The last day will deliver a pleasant cycle along the shores of Lough Conn and Lough Cullin from Lahardane to Foxford where you can visit the Foxford Woollen Mills and take the award winning free tour of the woollen mills. You can also browse the vast array of beautiful blankets and gifts on sale or enjoy some refreshments in their cafe. Afterwards its time to return to your starting point in Ballina or it can be arranged if you would like to finish in Castlebar. Once back at your accommodation a Paddle & Pedal representative will collect your bikes and equipment. Finally, to remember your trip you will be presented with a memento. Enjoy a late breakfast and take a couple of hours to see the town or pick up some gifts for friends and family. Carefully selected B & B and Hotel accommodation. 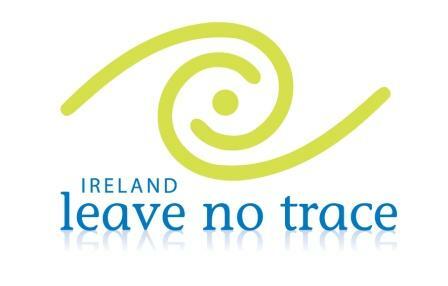 Three or Four nights twin sharing accommodation with full Irish breakfast. 24 speed hybrid touring bike, with mudguards, water bottle, bag carrier and small pannier bag.